Dr. Parkinson “Laird” Gibbs was born on May 3rd, 1917, in Toronto, Ontario. 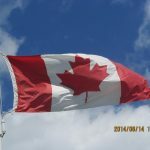 His father was William Ray King Gibbs and he was born in Cannington, Ontario. His mother was the former Eva Grace Laird and she was born in Dresden, Ontario. Her father was a partner in Laird Brothers Lumber Company which was located in Dresden. Dr. Gibbs had a brother named Peter and a sister named Elizabeth. 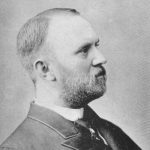 Dr. Gibbs was educated in Dresden but eventually moved on to Runnymede Public School in Toronto. Later he attended The University of Toronto for high school equivalents. After graduation, Dr. Gibbs found a job working part-time in the men’s wear department at the Robert Simpson Company from 1936-1937. He eventually found full-time work in the advertising department as an office boy. His hard work was rewarded with a position as a lay-out artist. Dr. Gibbs married Helen Mabel Collins in Toronto on the 29th of October, 1936. She was born in 1915, the daughter of Roy Ellsworth Collins and Mabel Eleanor Jane Currey. At the time of their marriage, Dr. Gibbs resided at 529 Strathmore Blvd. and his wife lived at 37 Keystone Ave., in Toronto with her parents. Mrs. Gibbs had a younger brother named Robert. Dr. Gibbs remarried in 1941. It is unknown what happened to his first wife. His career as a lay-out artist was re-routed with the call of World War II. Dr. Gibbs enlisted on August 23rd, 1940 with the Royal Canadian Army Medical Corps and he trained as a nursing orderly. Dr. Gibbs was seconded to the Royal Canadian Air Force. He transferred there officially on November 16th, 1940. He took training to be a radiographer. For the next 6 years he traveled to field hospitals throughout Canada and Europe. When he was discharged on February 16, 1946, he held the rank of Flight Sergeant. Dr. Gibbs married Marguerite Helena Hook from Toronto on the 23rd of January, 1941. She was born in 1914. They had no children. Before entering the University of Western Ontario in the fall of 1946, Dr. Gibbs was a traveling wool salesman in Quebec and Ontario. Once at the University of Western Ontario, he pursued a pre-medical science course of studies. He completed his degree in the fall of 1948 and graduated with his M.D. degree on the 31st of May, 1952. While in university he served on the Hippocratic Council and the Student Council. 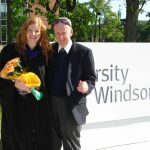 He was a member of the Honor Society and Editor-In-Chief of the Western Ontario University Medical Journal. Sometime between 1951 and 1952, he re-enlisted in the Royal Canadian Air Force as a Pilot Officer. After graduating from medical school he was promoted to Flight Lieutenant and stationed at the Toronto General Hospital. After completing his internship he was transferred to the London Base of the R.C.A.F. for officers training. In July of 1954 he was appointed as the Senior Medical Officer and transferred to Claresholm, Alberta. On August of 1956 he was promoted to the rank of Squadron Leader and transferred to St. John’s, Quebec. In November of 1957, he was transferred to Goose Bay, Labrador and served as the Commanding Officer of the R.C.A.F. Hospital. On December 16, 1958, he retired from the R.C.A.F. to set up a medical practice in Dresden, Ontario. Dr. Gibbs had practicing privileges at Public General Hospital, St. Joseph’s Hospital and Sydenham District Hospital in Wallaceburg. At one time he was Chief of Staff at Sydenham Hospital. He was a coroner for Lambton and Kent Counties. He was an Aviation Medical Examiner. In 1965 he was appointed Medical Officer of Health for Dawn Township. 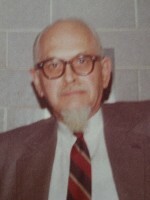 Dr. Gibbs served as the Mayor of Dresden from 1962 to 1964. Dr. Gibbs was a member of the Kent County Medical Association. He was a fellow with the American Geriatrics Society and a member of the Aerospace Medical Association. Dr. Gibbs was a member of the Branch 113 Legion in Dresden and held the position of First Vice-President. He enjoyed organ music, photography and weimaraner dogs. Dr. Gibbs died August 23rd, 1980, at the Public General Hospital in Chatham. Mrs. Gibbs died the same year as her husband. 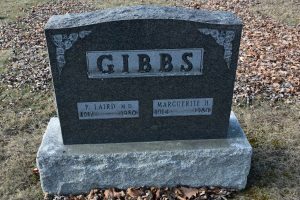 Dr. and Mrs. Gibbs are buried at the Dresden Cemetery.